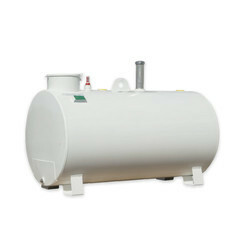 Our product range includes a wide range of fuel storage tank, milk storage tank, chemical storage tanks, stainless steel liquid mixing tank, stainless steel storage tank and horizontal stainless steel tanks. 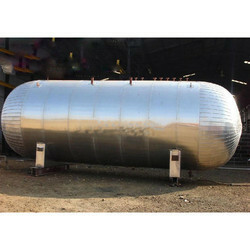 Our company engages in manufacturing and trading Fuel Storage Tank that are used for water, oil, air or gas. Manufactured from mild steel or stainless steel, these capacious and rugged tanks are corrosion resistant. 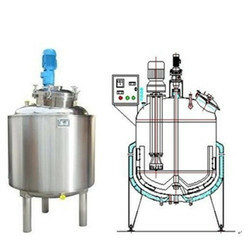 Leak proof and durable, the offered storage tanks are widely demanded in pharmaceutical, beverages and food processing & cosmetics industries. Our patrons can obtain the range at affordable rates. 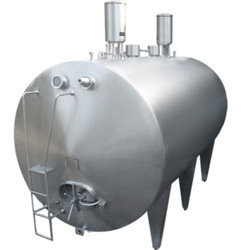 We are instrumental in offering a superior quality range of Milk Storage Tank to our esteemed patrons. These tanks are manufactured in compliance with international quality standards under the strict surveillance of our experienced professionals. All our products are appreciated by the customers owing to their attributes such as high storage capacity, sturdy construction and corrosion resistance. Moreover, we offer our range in various sizes and shapes at market-leading prices. We are one of the distinguished companies to manufacture and trade Storage Tanks for Chemical Industry. 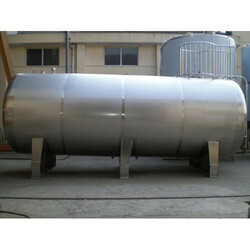 Sturdily constructed and leak proof, these capacious tanks are used for storing different kinds of acids and chemicals. Owing to the supreme corrosion resistance and supreme weather compatibility, the series is vastly sought after. Widely demanded in chemical industry, these are used for storing oil, gases and water as well.